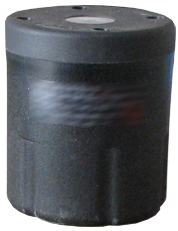 Dual Beam Magnetic Sensor, with Sigox communications for very low power and long range (LP-WAN) connectivity. Used in vehicle detection systems. Dual beam magnetic sensor - ability to detect metal objects 60cm away, speed and direction of movement. Long distance communications utilising LP-WAN to Sigfox networks, via the Sigfox base stations. Low power consumption - long battery life (Lithium batteries up to 8+ years). Detection of vehicles at all speeds. Ease of installation - no cabling. Ease of Support - regular maintenance is not required. Low capex and opex - no need of gateways, no annual maintenance, very low communications costs. Indoor & outdoor parking management. Camping and Caravan site management. Product status is in development. Samples available Sept/Oct 2017.